Miriam Shor at the "Swingtown" at PaleyFest09. Miriam Shor at the opening of "Dedication or The Stuff of Dreams" after party. Miriam Shor and Josh Hopkins at the premiere of "Swingtown." 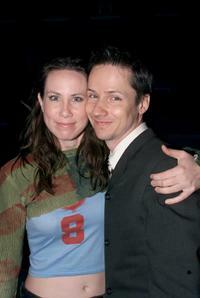 Miriam Shor and John Cameron Mitchell at the screening of "Hedwig and the Angry Inch" during the 13th Annual New York Lesbian and Gay Film Festival. Miriam Shor at the 2004 Sundance Film Festival. Miriam Shor, Melissa Leo and Elizabeth Ashley at the after party of the premiere of "The Cake Eaters" during the 2007 Tribeca Film Festival. 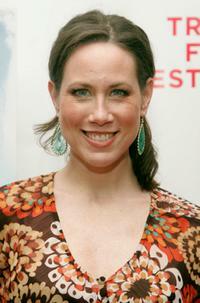 Miriam Shor at the 6th Annual "What a Pair" concert. Miriam Shor at the premiere of "Swingtown." Miriam Shor at the premiere of "The Cake Eaters." Miriam Shor at the Upfront Party hosted by Entertainment Weekly and Vavoom. Miriam Shor at the screening of "Hedwig and the Angry Inch." Miriam Shor at the Disney ABC Television Group All Star Party. Miriam Shor at the "What a Pair 3" A Celebrity Concert to Benefit the Revlon/UCLA Breast Center.